Scientists have provided the first on-the-ground evidence that climate change has already had a substantial impact on coffee production in the East African Highlands region, according to a recently published paper in Agricultural and Forest Meteorology. Coffee is the world's most valuable tropical export crop and the industry supports an estimated 100 million people worldwide. 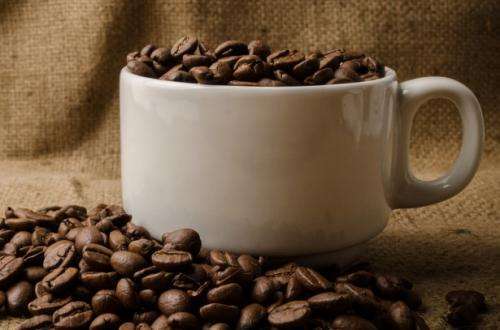 Lead author Alessandro Craparo, a PhD candidate from Wits University and his fellow researchers warn that without substantial climate change adaptation strategies, the average coffee production in Tanzania (where the study was conducted) will drop to 145 kg per hectare by 2060. Using data from the northern Tanzanian highlands, the study verifies for the first time the increasing night time (minimum) temperature as the most significant climatic variable being responsible for diminishing Coffea arabica coffee yields between 1961 and 2012 and proves that climate change is an ongoing reality. Coffea arabica is a species of coffea, a type of flowering plant whose seeds, called coffee beans, are used to make coffee. The sensitive Coffea arabica berries need low temperatures to grow well and produce high quality coffee for consumption, which is why they are best suited to the cool tropical highlands of East Africa, typically between 1000-2300 metres above sea level. "Coffee yields have declined to their lowest point in years, with many farmers in Tanzania giving up on coffee completely," says Craparo. "This is approximately a 35 percent loss in yield for the farmer, which could mean a decrease of up to 28 million US dollars in export earnings for the country," says Craparo. According to the researchers, the hotter the nights get, the higher the danger for Arabica coffee production. At night temperatures of 15°C and above, the plant's metabolism starts to change, leading to lower yields and reduced quality, which will have a significant impact on the coffee industries and processors. "This is the first study on coffee, globally, that provides essential time series evidence that climate change has already had a negative impact on Coffea arabica yields. Every 1°C rise in minimum temperatures will result in annual yield losses of approximately 137 Kg/Ha. For an average smallholder production is currently around 225 Kg/Ha," Craparo explains. The paper, Coffea arabica yields decline in Tanzania due to climate change: global implications, also indicated that there is a lack of robust analyses of coffee and climate change at regional or national levels in major coffee producing countries. This is in spite of "substantial governmental interest is invested in the coffee sector". This study also provides the coffee sector with hard numbers required to encourage the public and private-sectors' investment in climate change adaptation strategies. Craparo says that these strategies will better sustain this important industry and the livelihoods of millions of smallholder farmers who depend on it. "The industry is aware of the impact of climate change on coffee production, but they need hard data to prove to regional decision makers, how urgently climate adaptation strategies need to be put in place" says Dr Piet van Asten, International Institute of Tropical Agriculture (IITA) country representative in Uganda. Craparo is a joint research fellow with IITA and International Centre for Tropical Agriculture (CIAT) where he works with co-authors Van Asten (IITA), Peter Laderach (CIAT), Laurence Jassogne (IITA) and Professor Stefan Grab from the Wits School of Geography, Archaeology and Environmental Studies. The researchers also warn that attention should also be drawn to the arabica growing regions of Brazil, Colombia, Costa Rica, Ethiopia and Kenya, as evidence shows these areas have followed strikingly similar minimum temperature trends. "Coffee is a really interesting crop and super sensitive to environmental change. The regions and people who grow it are also some of the most beautiful in the world," said Craparo. So even if the 2 C limit is held, by 2050 there will be -49 Kg/Ha of coffee? Woe is my empty mug. @Noumenal Those numbers do seem suspect. Arabica coffee is grown in warmer climates.